Are you struggling with the holidays? Maybe you can’t turn down those chocolate truffles your co-worker put in the lunch room. Maybe the box of Candy Cane JoJo’s calls your name when you’re shopping at Trader Joe’s. Or maybe your husband brought home a package of dark chocolate dipped pretzels that you can’t resist. (Welcome to my life). Are you feeling food guilt or frustration? If so, I have FANTASTIC (and evidence-based) health news for you. News that will make you feel better, lose the guilt, and start enjoying the holidays. Because it may blow your mind away. Eating chocolate is correlated with reductions in heart disease. So are things like exercising and eating fruits and vegetables. But isn’t eating chocolate a little more fun? I think so. And I think a healthy life SHOULD be fun. A recent study published in the journal Heart may give us a look into WHY. The study conducted in Denmark showed chocolate consumption was associated with a lower risk of atrial fibrillation, a common arrhythmia that can lead to stroke and other serious heart problems. Those who had one to three one-ounce servings of chocolate each month had a 10% relative risk reduction in atrial fibrillation. And people that ate more chocolate (one serving a week) had a 20% reduction. The not as good news? Those that had one or more servings of chocolate a day did not have a statistically significant risk reduction. So enjoy those chocolate truffles — but try to keep it to once a week to maximize heart health benefits. So you can feel good (and healthy) about that dark chocolate truffle you just ate. If you want to maximize the health benefits of chocolate, I have a motto for you. The darker the chocolate, the higher percentage the cacao or cocoa. 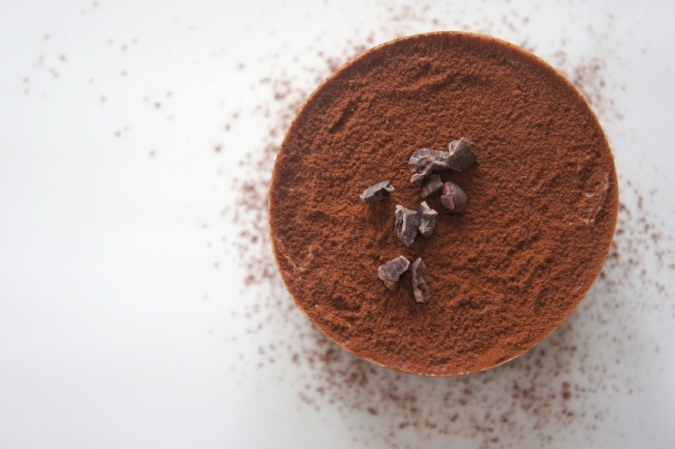 The cacao or cocoa is the part of the chocolate that we think has the health benefits. Not the added sugar or milk. If you need a little help on picking the best types of chocolate, check out this post. Scroll to the bottom of the post to see my favorite chocolate brands. So go forth and enjoy your holidays! Eat your chocolate and savor each bite — knowing you are helping your heart. Not Your Average Gift Guide . . .